Blend your love of American history and collectible weapons with this Abraham Lincoln Dagger. This display dagger is full of character and detail that pay homage to our 16th President, sure to be a talking point of your collection. The blade is made from 440 stainless steel. On the guard of the dagger is a portrait of the White House. Details continue up to the top of the steel handle. The included scabbard continues the trend, as the throat depicts Abraham Lincoln and the drag features the Statue of Liberty. 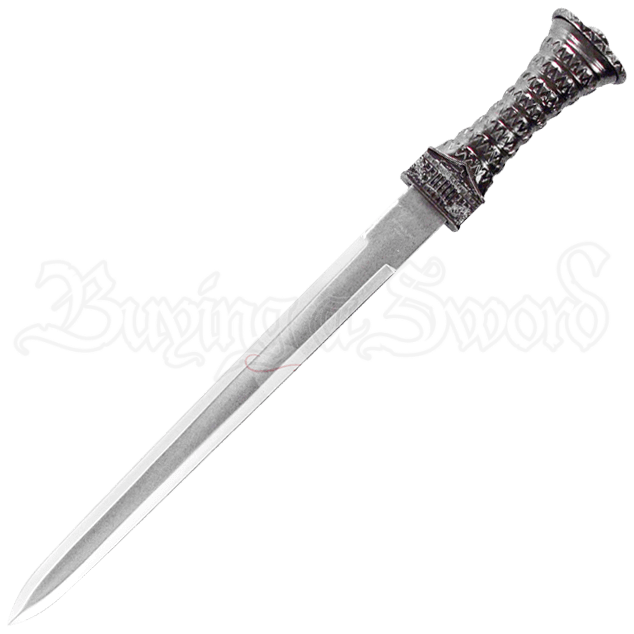 If you are fascinated by the Presidency of Abraham Lincoln or are just interested in American history, this dagger makes an excellent display piece or gift idea.